I hope you enjoy making this crochet bear beanie ornament. This is a full tutorial. It’s easy enough to let your kiddos make some too. I will be posting one Christmas ornament each day for the next week. I’m calling it the 7 Days til Christmas Series. 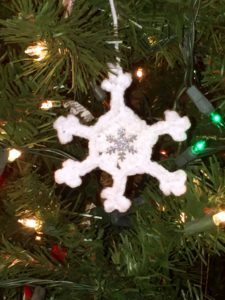 The ornaments are fun and easy to make with the whole family! 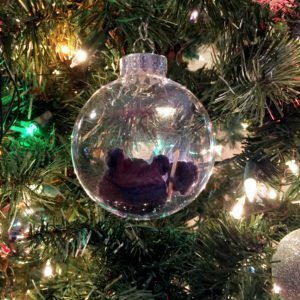 The first ornament is a miniature teddy bear hat with a tiny crochet hook and ball of yarn. 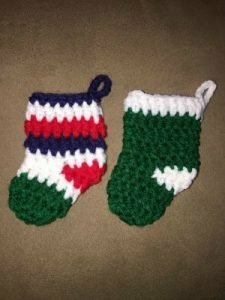 Here are 15 gift ideas for the crocheter in your life. They are suitable for giving for anniversaries, birthdays, Christmas, Valentine’s Day, well you get it! If you are a crocheter, pass this along to all your loved ones. Yarn! 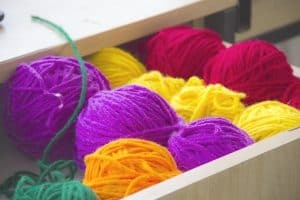 Crocheters need yarn, of course! Crocheters can never get enough yarn! 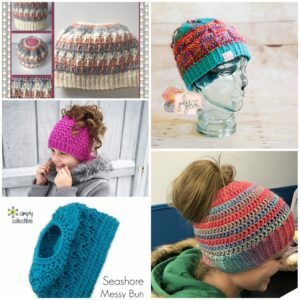 5 Messy Bun and Ponytail Hats: It’s the invasion of the Messy Bun & Ponytail hats! They are the best for messy hair days. Messy hair day is every day for me! Lol! Here are some free and paid patterns so you can make your own. Click on each pattern title for the pattern. The paid patterns are at the end of the list. The price is at the end of each title. My son loves Pokémon Go. 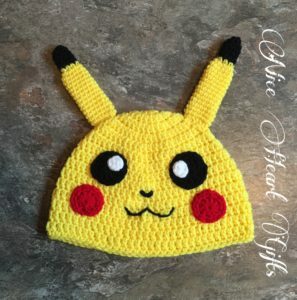 So, when he asked me to make him a Pokémon Go Pikachu Beanie, I was more than happy to do it. Here is the Pokémon Go Pikachu Beanie (in light of the Pokemon Go craze). Do you play Pokemon Go?? Comment below. Get your own Pikachu beanie here. I made this crochet car American tote bag for my son to put his things in while he’s in the car. I have found myself on many occasions having to preach to him to clean the backseat of the car. There has been loose tissues and small toys in the seat and in the floorboards. I knew I wanted to make something to help keep the car clean, but I wasn’t sure what. I searched many patterns and finally found one I loved by Heidi Yates. Her Ravelry shop is called Snappy Tots. I love her patterns. I have bought a few of her patterns in the past. 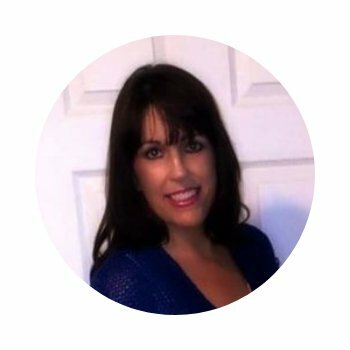 She is very generous and offers several of her patterns for free. She offers the American Car Tote Bag for free in her Ravelry Store.